The Calcutta High Court on Tuesday put on hold the Centre’s decision to withdraw around 1,000 paramilitary personnel deployed in Darjeeling and Kalimpong to maintain law and order during the agitation for a separate Gorkhaland State. The court has put a stay on the Union government’s order till October 27. 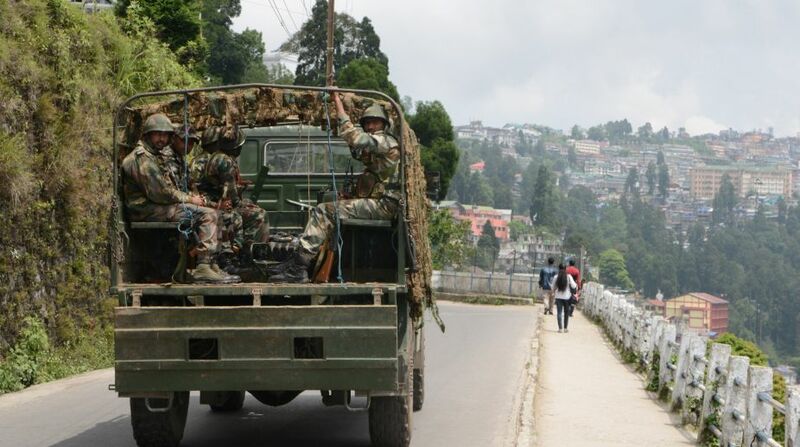 As per the government’s order, seven companies of the Central Reserve Police Force (CRPF), including three women companies, and three companies of Sashastra Seema Bal (SSB) personnel were to be withdrawn from Darjeeling from Wednesday. One company of paramilitary comprises 100 personnel. West Bengal Chief Minister Mamata Banerjee on Monday accused the Centre of trying to “destabilise and divide” her state for the sake of the Darjeeling parliamentary seat. Darjeeling hills have seen a renewed bout of protests and violence on the revived demand for a separate Gorkhaland state. The centre’s decision, conveyed to Banerjee on Sunday, has riled her more, as the step came only two days after Police Sub-Inspector Amitava Malik was killed.